Tube chaos on Piccadilly Line due to cuts to trackside management and flogging off specialist lathe. TUBE UNION RMT today demanded that London Underground halt and reverse maintenance cuts and key asset sales after if emerged that reductions in vegetation management and the flogging off of a key piece of kit were major factors in the “wheel flats” fleet crisis that has dogged services on the Piccadilly Line for a number of years. RMT is warning that the next round of cuts being lined up to the TFL budget could unleash similar travel chaos but on an even wider scale. “The change in the vegetation maintenance regime from 2014 onwards is the obvious reason for this. However, it is surprising that unlike other ‘open air’ sections of London Underground railway (and Network Rail) that there was no Rail Adhesion Track activity on this route, given the volume of passengers using it and its strategic importance to London. Strong and co-ordinated campaigning by RMT depot and driver members has forced London Underground to begin addressing the Piccadilly Line issues but the union is warning that the aging fleet, combined with future cuts that the union knows are in the pipeline, could tip the service back into crisis at any time. Open air sections of London Underground need to be kept clear and clean, especially of leaves during the Autumn. Otherwise moisture and organic material make the tracks slippery, triggering automatic braking mechanisms on some older rolling stock such as on the Piccadilly Line trains. Excessive braking causes the wheels to lose their shape and become flattened. Those wheels then need to be lathed back into shape impacting on fleet availability, capacity and passengers’ journeys. RMT is appalled that at the same time as this problem was being raised by the union London Underground was selling off a wheel lathe to the private company Abellio Greater Anglia which needed the kit to address exactly the same wheel flats problem, compounding the crisis on the tube. 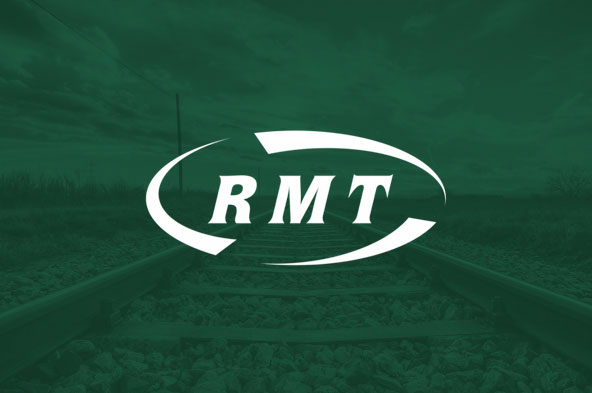 “RMT has been warning for years that short term, politically-motivated budget cuts have long term implications for reliability and safety. The Travel Watch examination of the Piccadilly Line crisis proves that we were right. What tube bosses were doing selling off key bits of kit to private rail companies like Arthur Daley in some back-street lock up at the very height of this crisis is beyond me. “With billions of pounds worth of more cuts barrelling their way down the system, Londoners can expect more cancelled and delayed services if we don’t stand together in a united campaign to roll back the Government-sponsored assault on tube budgets.